Bobcat Compact Tractors from Daken are well known for their productivity durability, versatility, comfort, and ease-of-use. 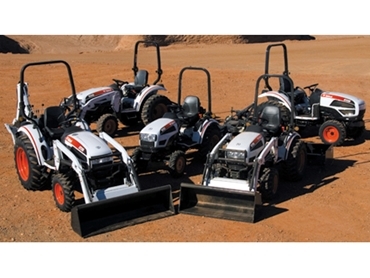 Compact tractors are used to get work done faster than straight human labour and tools. And furthermore, Bobcat compact tractors allow workers to go faster compared with competitive machines. The 3-point hitch and front end loader on the Bobcats mean that they are excellent tool carriers. In addition, there is an extensive range of implements and attachments available. Therefore, these machines have a great versatility which adds so much to their usefulness. Comfort and ease of use go together with these machines. The easier to use, the better the work experience and the better the levels of productivity. Maintenance and durability are important features to tractor owners, especially for first time owners with little or no experience.